Broadway in Tucson/A Nederlander Presentation is part of the nationally recognized Nederlander Producing Company of America. Broadway in Tucson’s debut season opened in September 2004 with the Arizona premiere of Movin’ Out. And since that first season, Broadway in Tucson has brought more than 425,000 Southern Arizonans to downtown Tucson again, with crowd-pleasing events like Chicago, Evita, Riverdance, Avenue Q, Mamma Mia! and Disney’s High School Musical. In 2006, Broadway in Tucson broke box office records with six wildly successful weeks of performances of Disney’s The Lion King. More than 83,000 people attended performances downtown at the Tucson Music Hall, making The Lion King the most well-attended, longest-running production in Tucson theatre history! In 2010, Broadway in Tucson partnered with UApresents for a three-week, sold out engagement of the blockbuster musical Wicked at UA Centennial Hall. In 2013, Broadway in Tucson announced a new collaboration with UApresents and celebrated its 10th anniversary in a new venue, UA Centennial Hall. 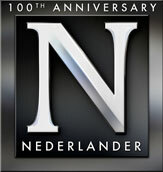 Founded by David T. Nederlander in 1912, the Nederlander family is an American entertainment dynasty. Now operating under the guidance of James M. Nederlander, the third generation of leadership, The Nederlander organization has developed and maintained a reputation for being one of the finest purveyors of legitimate theater in the world. In addition to the operation in Tucson, The Nederlander organization owns and operates theaters in New York, London, Chicago, Detroit, Durham, Los Angeles, North Charleston, San Diego, Oklahoma and San Jose as well as produces, co-produces, invests in and books new musicals, revivals and touring companies. For more information about the Nederlander Producing Company of America, please click here.